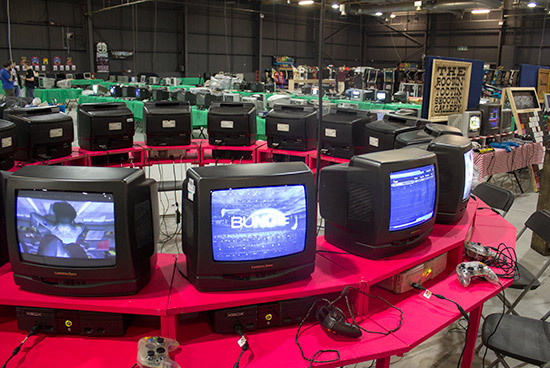 Location: Play Expo, Event City, Manchester, M17 8AS, UK. 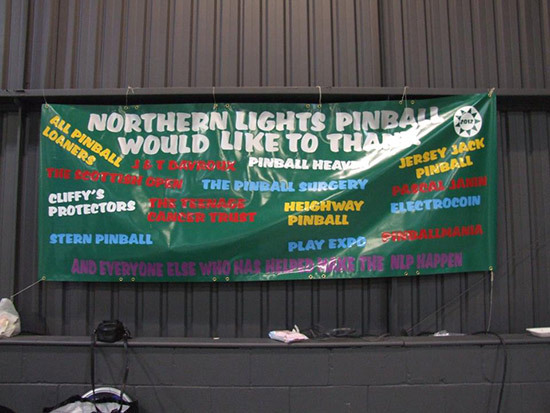 The Northern Lights Pinball is pinball's public face in a world of home gaming dominated by consoles and big budget product promotions. 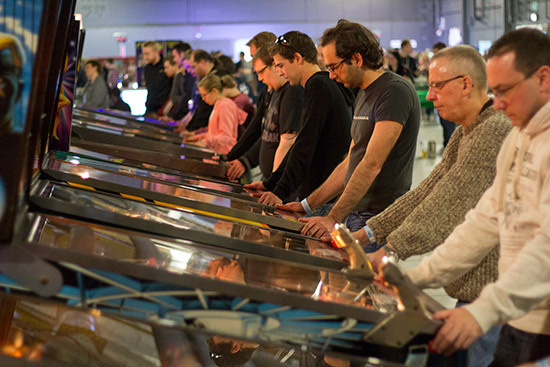 It's one of the few pinball events aimed at a very different demographic of mainly non-pinball-people, and thus provides the opportunity to introduce a whole new audience to the game. 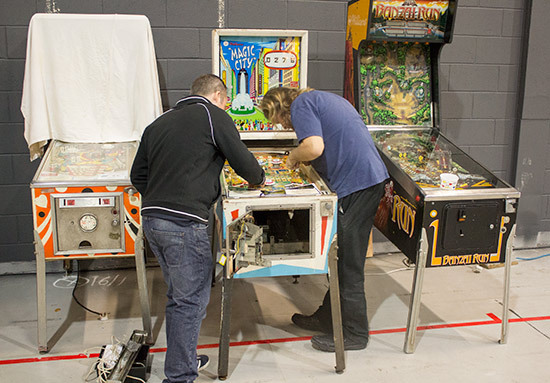 The pinball element is but a small part of the huge Play Expo show (previously called Replay Expo, and before that just Replay). 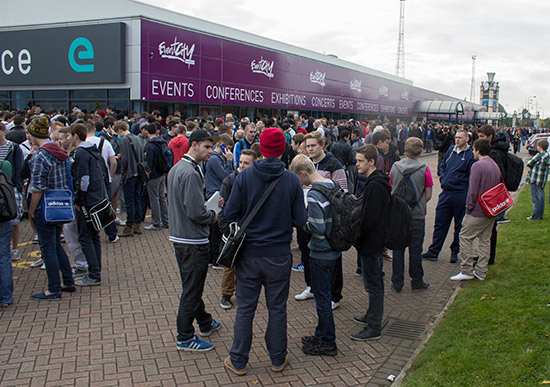 After two years at the Norbreck Castle hotel in Blackpool, the show moved to the much larger Event City in Manchester for 2012. 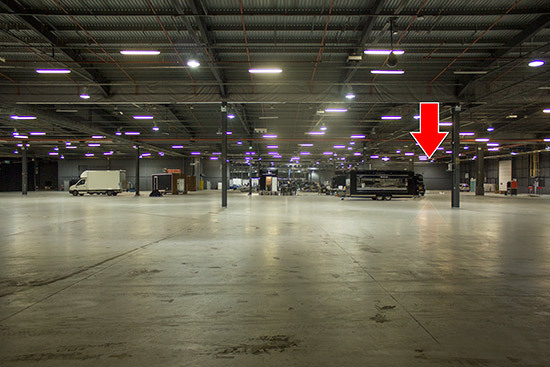 In case it's not obvious from the picture above, Event City is huge. 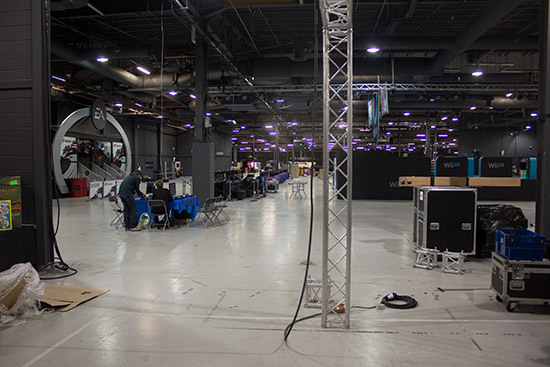 Here's a view from one end of the hall looking towards the entrance. 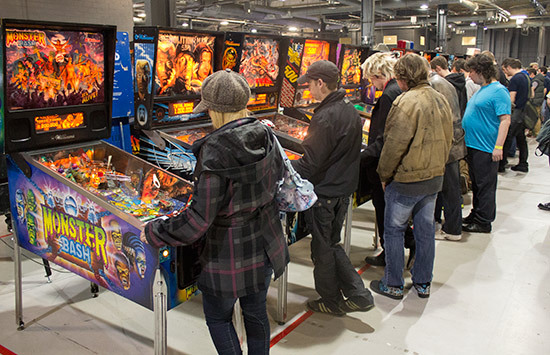 The Northern Lights Pinball set-up consisted of nearly 80 machines and was located on the far right of the picture above, near the building's front right corner. 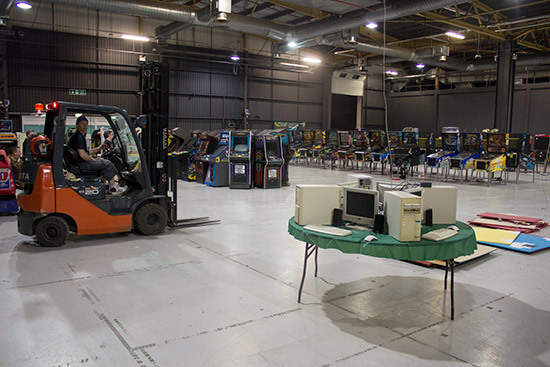 Set up took place on Friday with the last few machines arriving on Saturday morning, just before the organisers closed the loading bay doors. 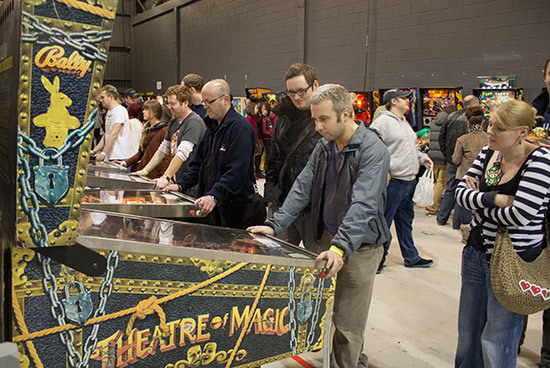 One of the more unusual pinballs was Poibug's Haunted House which had been modified to add a multiball feature to the usual single-ball play and also has speech. 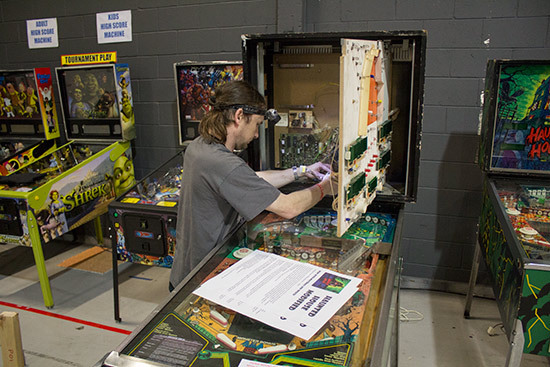 We'll have full details of this machine and the work it took to modify it in an upcoming Pinball News article. It sat next to an regular Haunted House for comparison. 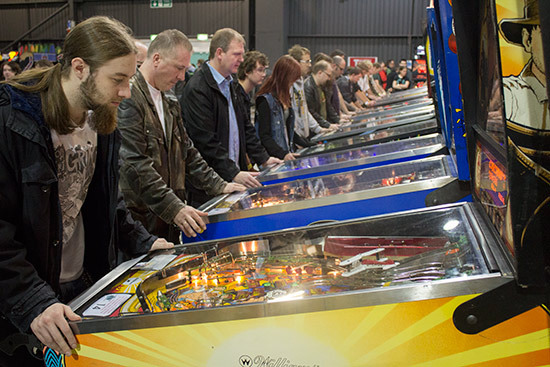 Before we continue with the pinballs, let's have a quick look around the Play Expo show to see who else was setting up their stands. 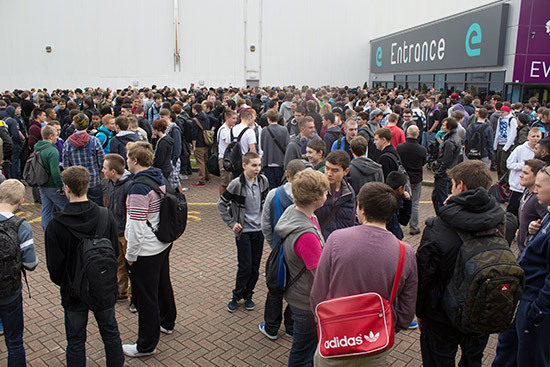 Looking down the hall, EA have a big stand on the left with Nintendo in the centre. Crews worked through the night to build them. 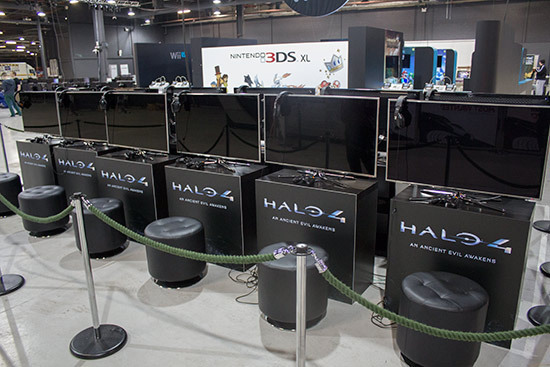 The dozen Halo 4 stations above were far from the only Xbox 360 consoles at the show. 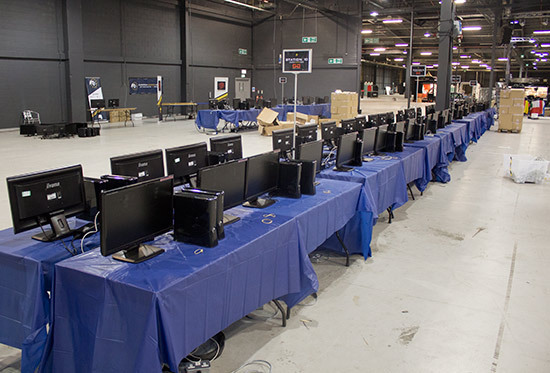 We reckon there were about 56 more in the row shown below, while another similar row was being built behind. 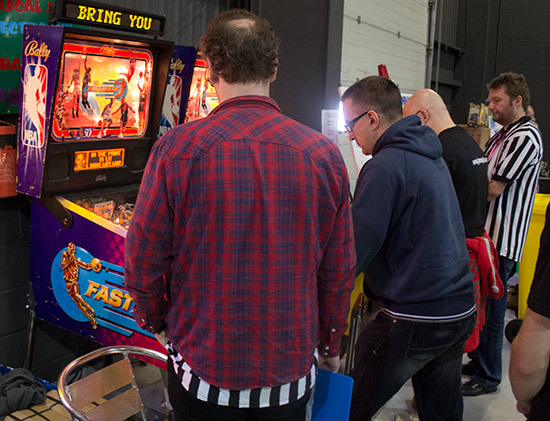 If all these modern games were too complicated, there were plenty of simpler alternatives. 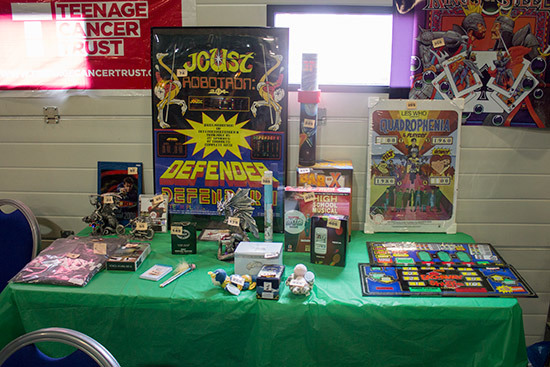 A collection of arcade video games brought by the JAMMA+ group sat next to the pinballs in 'coin-op corner'. 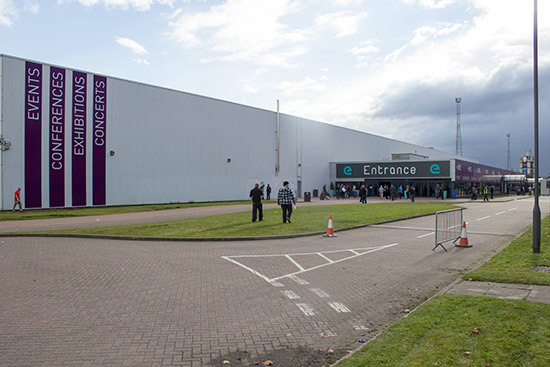 The show opened to the public on Saturday morning and long before the scheduled opening there were huge queues building up. 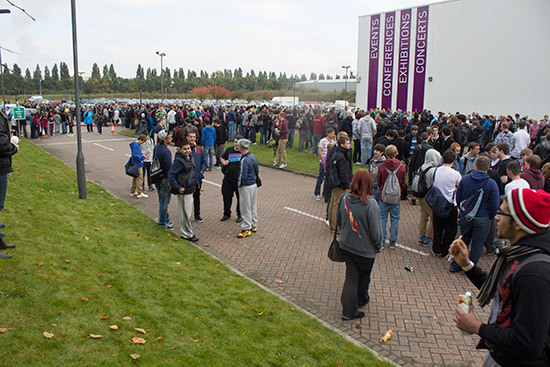 These were exacerbated by a delay in opening the doors but demonstrated the number of visitors who came the show. ...and then continued along the front of the Event City building. The doors did eventually open around an hour later than planned, with some visitors waiting nearly two hours just to get in. 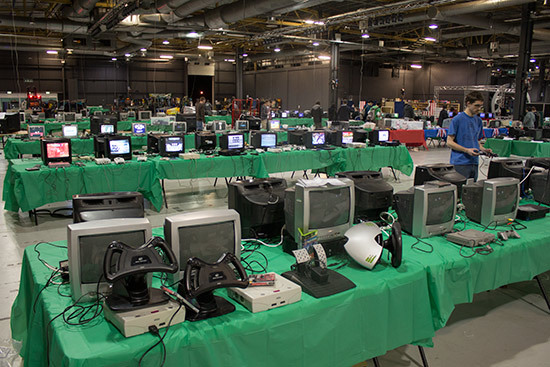 It didn't take long before every seat in front of every screen was filled. 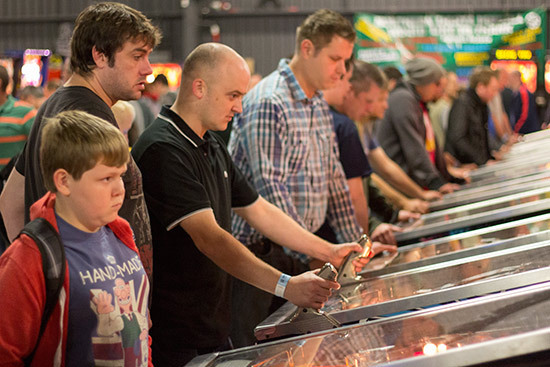 It didn't take long for all the pinballs to be in use either. 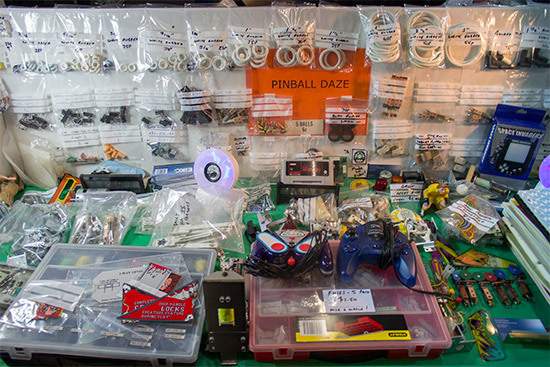 For those looking for pinball parts, Dave Willcox's Pinball Daze had a stand selling a range of essentials, second-hand spares and manuals. 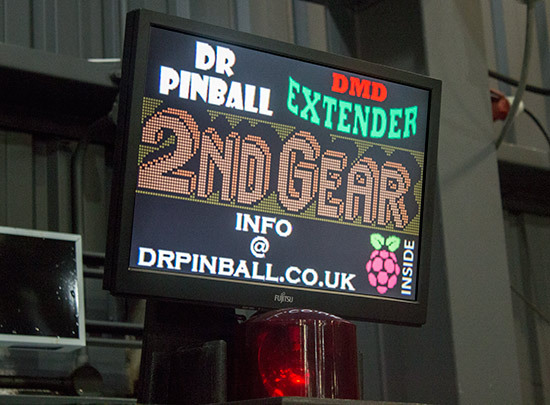 David Robinson was also demonstrating his DMD Extender which uses a Raspberry Pi mini-computer to intercept the dot matrix data, convert it to video and output it as HDMI. Here it was fitted to a High Speed 2 - The Getaway machine, but it should work with any regular-size DMD and would be great for tournament finals when used in conjunction with an overhead camera. 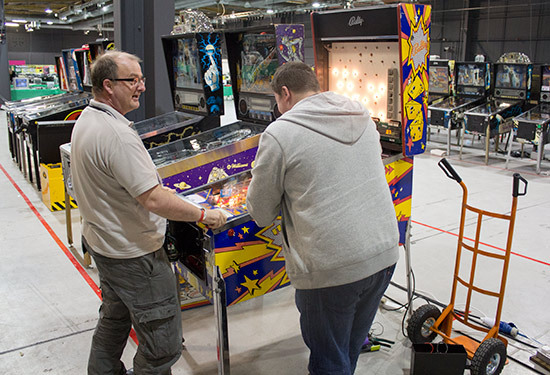 You can take a look around the Northern Lights Pinball and the whole Play Expo show in our exclusive Six Minute Tour video. 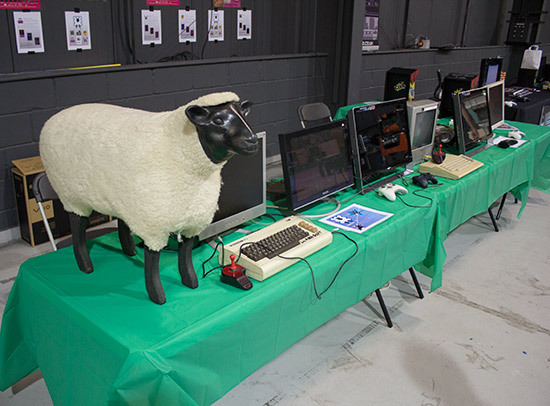 There were also some competitive events at the show. 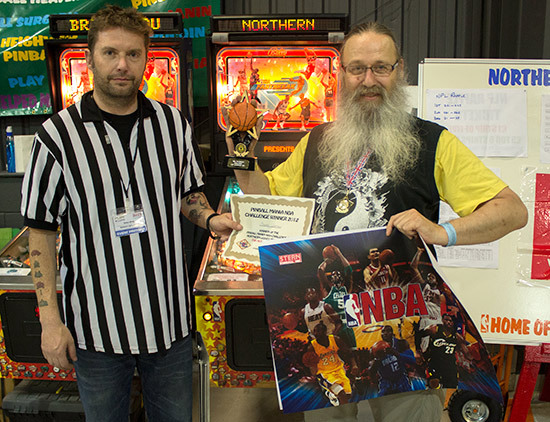 The main one was the NBA Challenge sponsored by Pinball Mania which has made appearances at several UK shows and features two linked NBA Fastbreak machines. 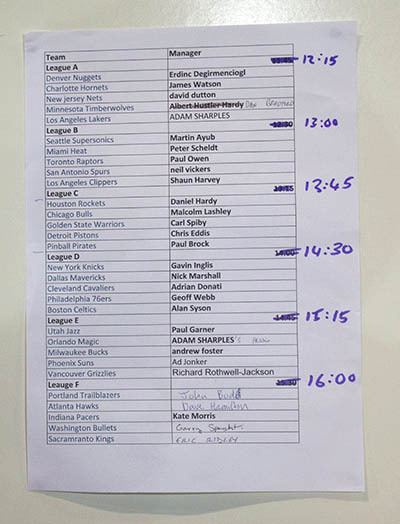 Entry cost £7.50 and each player was allocated one of thirty teams - which were split into six leagues, although not the same as the six divisions in the current NBA conferences - and given a play time. 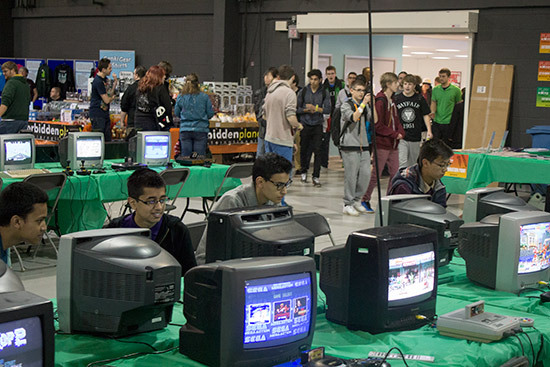 At their allocated time, each group of five competitors assembled and played pairs of matches such that every player played every other player once in a head-to-head linked game. 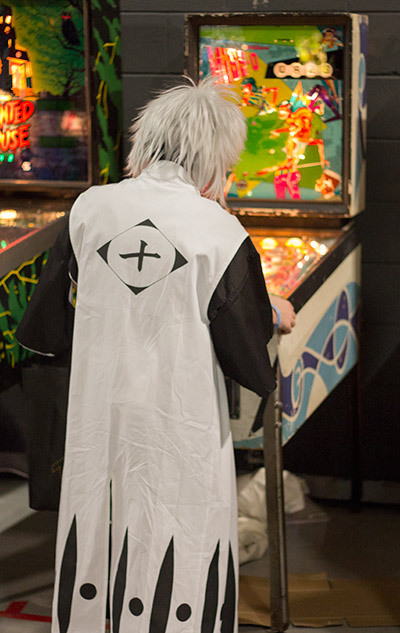 The choice of machine was decided by the toss of a coin. 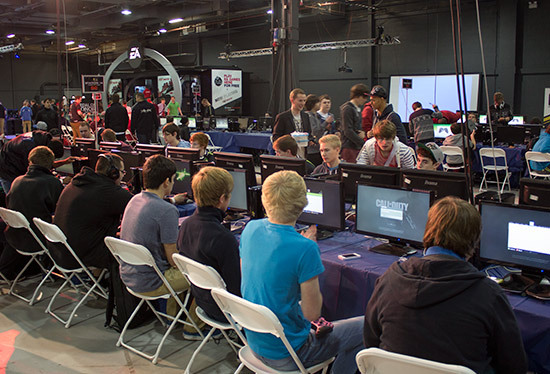 The winner from each group went through to the play-offs. In the case of a tie in the number of games won,the difference between points scored and points against decided the winner. 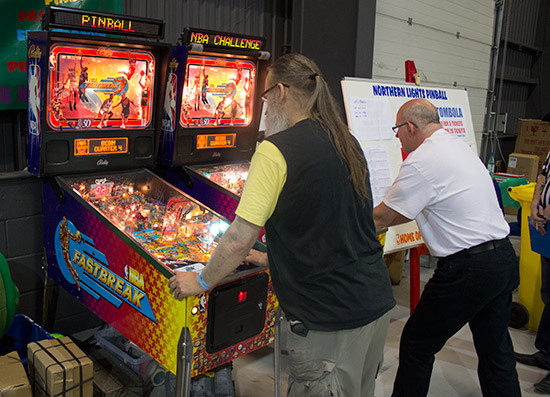 They were joined by the top two other players - based on the number of wins and the points difference - to give a quarter-final of eight players. 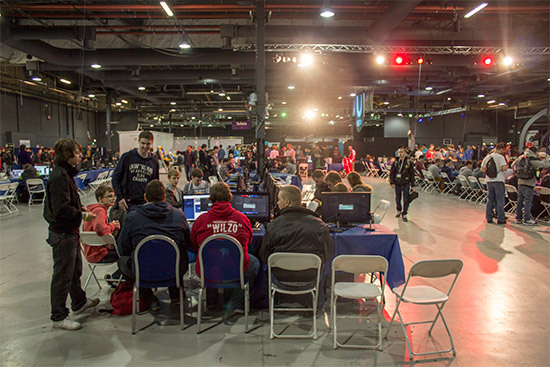 The two highest scoring second place players were James Watson and Dan Hardy who completed the eight who played in the quarter final. That round said goodbye to Adam, Malcolm, Kate and Dan, which left the two semi final matches of Martin vs Adrian and Andy vs James. Adrian and James won their matches to go into the final. 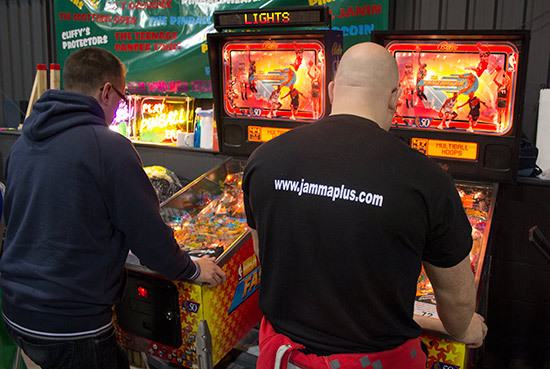 In an incredibly close final, James narrowly edged ahead in the final stages to seal the victory by 106 points to 101. 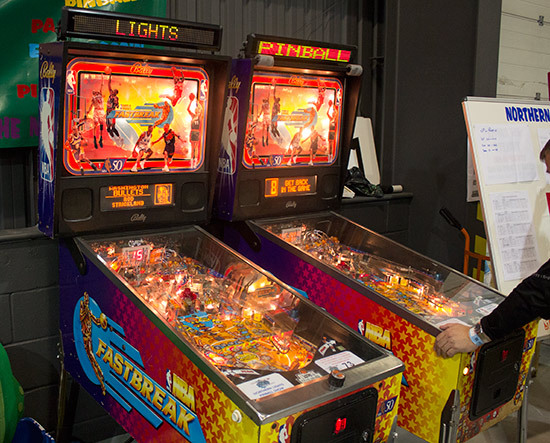 In the play-off for third place, Andy beat Martin by 108 points to 88. 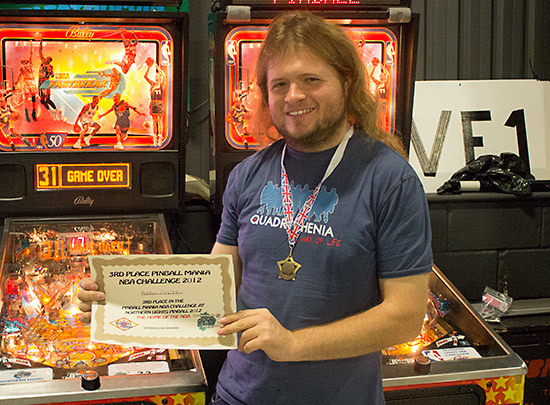 Andy also won the adult High Score Competition which was held on Iron Man. 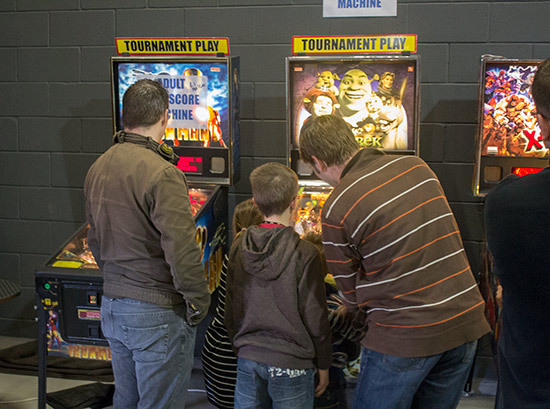 There was a kids High Score Competition too held on the adjacent Shrek machine which was won by Leo Marshall. 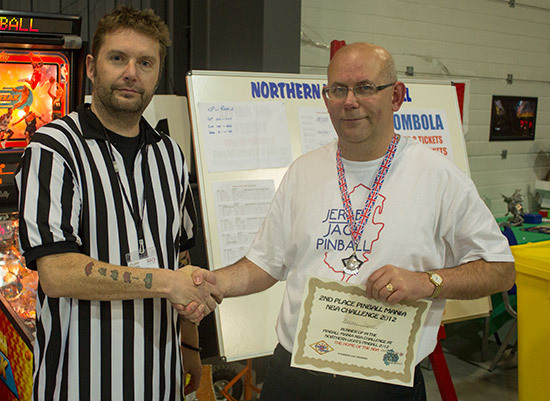 Both competitions were sponsored by Pinball Heaven. There were lots more prizes to be won in the tombola and the prize raffle. 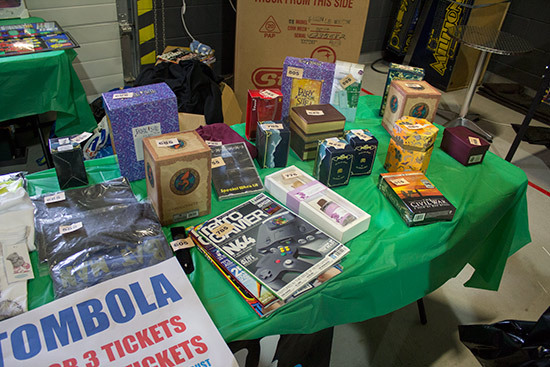 The tombola cost £1 ($1.60, €1.25) for 3 tickets or £5 ($8, €6.25) for 20 tickets. Any number drawn ending in a 5 won a prize. 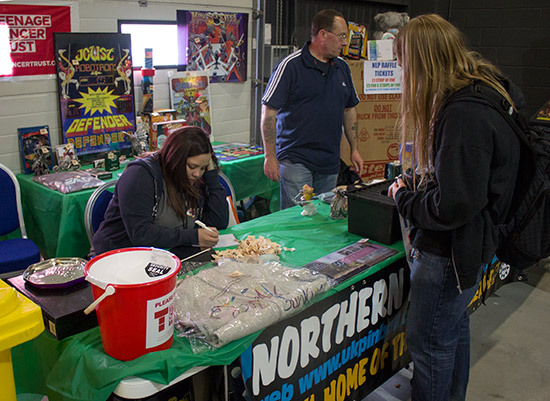 There was also a raffle where tickets cost £1 ($1.60, €1.25) per strip of 5 tickets, or 6 strips for £5. 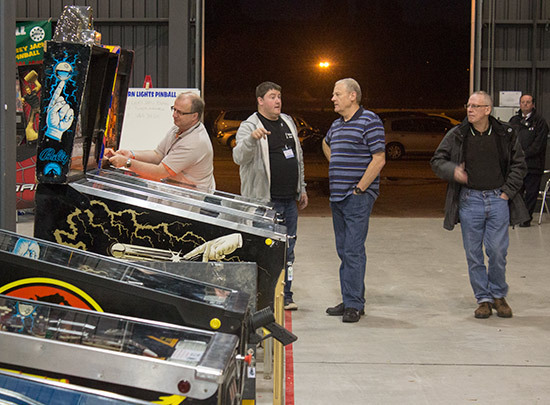 All the money raised from the raffle, the tombola, the donated prizes which were auctioned on Ebay to raise funds and any cash donations went to the Teenage Cancer Trust which is the Northern Lights Pinball's chosen charity. 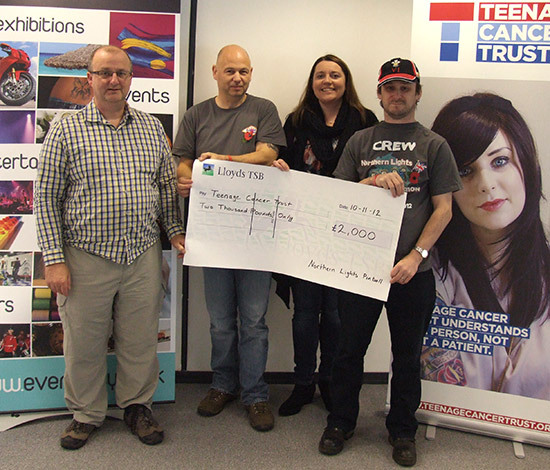 Last year the Northern Lights Pinball team raised £401 for the Teenage Cancer Trust. 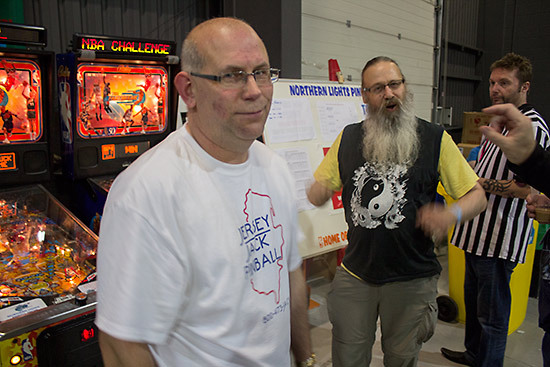 This year, when all the games had been packed away and returned home, and the counting of the cash could take place, the total raised from the show and the Northern Lights Just Giving donations page leaped up to £2,400 ($3,840/€3,000). 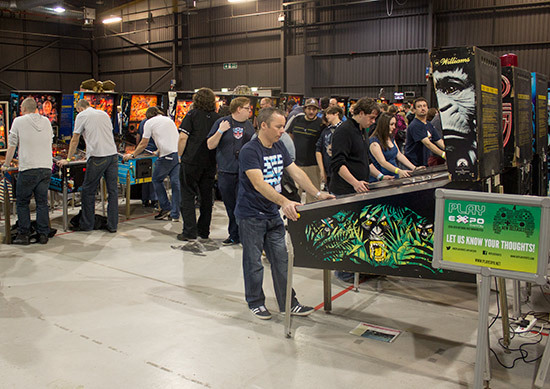 Plans for next year's Play Expo and Northern Lights Pinball have yet to be announced, but the whole event proved to be a big success this year. As large as the show was though, the venue could easily cope with a something twice the size. 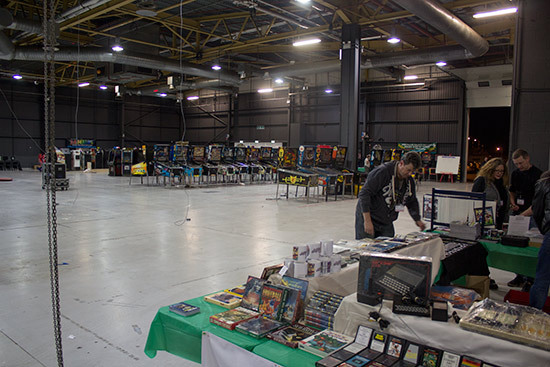 With the Play Expo organisers looking to expand the show further, next year's could be even bigger and better.